What is Independent Living and Why Does It Matter? In its broadest sense, Independent Living enables people, who may not now be as capable as they once were, to make choices about how they wish to live their lives. A package of care is then designed that supports those choices and draws on support from carers, assisted living specialists and others. This can create a diverse set of care options ranging from people living in their own homes with support from family and private/public service providers to situations where care is provided in a residential setting such as Little Brook House. Each of these different scenarios support people in their choices about the way they wish to live their lives and ensure they retain a level of independence in their day to day living that is both comfortable and sustainable. 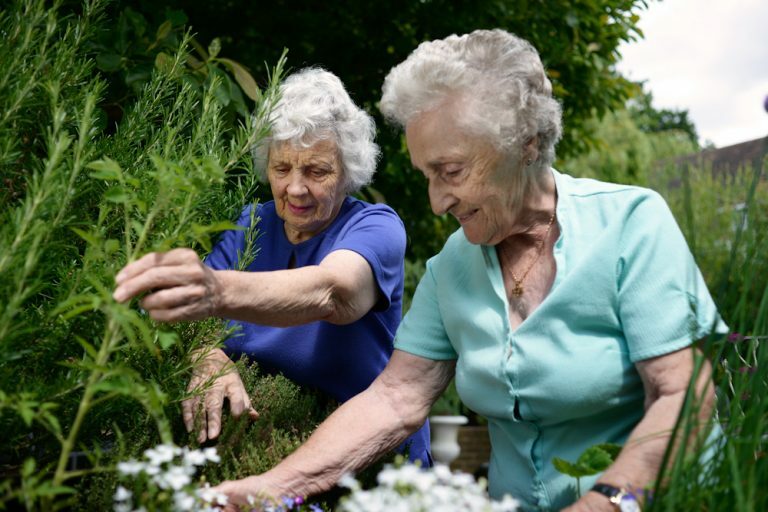 Independent Living at Little Brook House is about enabling choice so that residents can enjoy their personal independence and community life as far as their skills and abilities permit and to the extent to which they wish to engage. Tightly integrated with our Person Centred Care planning, Independent Living helps ensure that each person’s individual tastes, interests, concerns and needs are respected, which all form part of helping our residents enjoy their stay with us. Each month we hold a residents’ meeting in the lounge to discuss outings, activities, home improvements, menus and other items of interest to the wider community. This helps encourage residents to actively shape the community life of the home. As well as communal events, residents are encouraged to pursue hobbies and interests on an individual or small group basis. Our Events Coordinator and staff will help facilitate these – be that arranging a planned activity for a group of people or doing something on an ad hoc basis with a single resident. Find out more on our Living As A Community page. The Person Centred Care planning process will also identify needs and preferences such as food likes and dislikes and dietary restrictions. We cater for diabetic, coeliac and many other dietary regimes. We encourage residents to personalise their rooms with items of sentimental value or of particular significance so that they have a private space in the home that reflects their life and interests. All in all we try to be as sensitive as we can to our guests needs and preferences and respond to these as sympathetically as we are able.